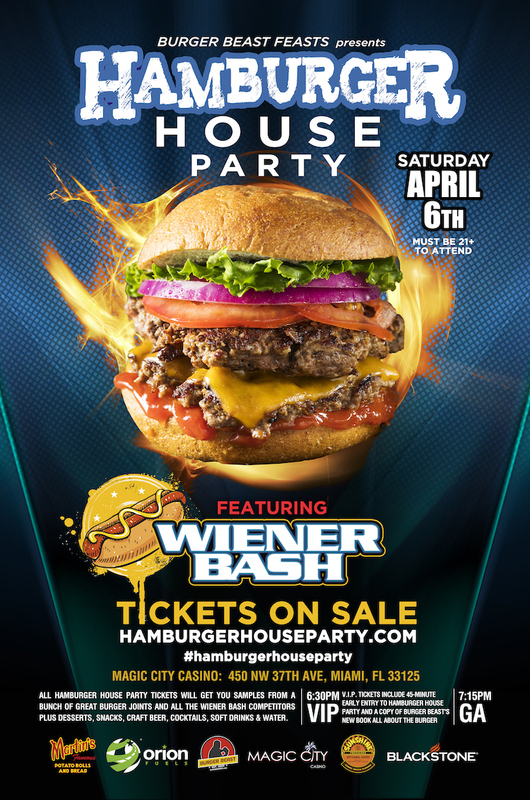 Burger Beast Feasts presents Hamburger House Party Saturday, April 6th, 2019 from 7:15 (6:30PM for V.I.P.) – 10PM underneath the grandstand at Magic City Casino. The Best Burger & Hot Dog/Sausage Restaurants are chosen by Burger Beast and will be competing for your vote to be crowned the Best of the Best. Wiener Bash competition is now part of Hamburger House Party.